An Unlikely Story is honored to spend an evening with the father-son pair that's changing the way America thinks about addiction with an in-conversation event with host Jeff Kinney. 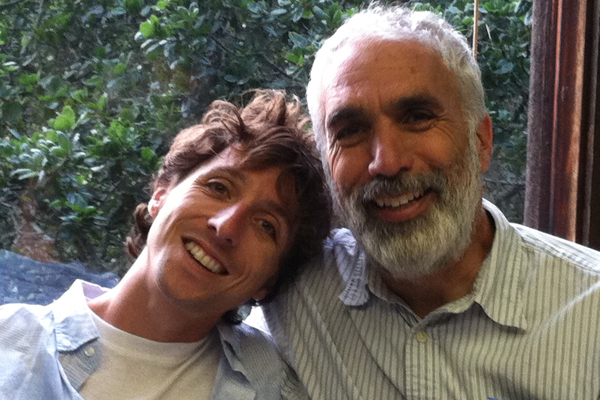 David and Nic Sheff have chronicled their family’s story, the heartbreaking and inspiring experience of survival, relapse, and recovery, and how their family has coped with addiction over many years. Their memoirs served as the basis for the October 2018 film, Beautiful Boy, starring Steve Carrell and Timothée Chalamet. With their new book, HIGH, they hope to educate teens and tweens about the realities of drugs and alcohol. Join us for an evening of engaging conversation with David and Nic Sheff, followed by a book signing. **Please note that this event will be general seating, and once the Second Story event space is filled (200 seats), attendees will be seated in the Wimpy Kid event space on the 3rd floor, where they will view the event via live broadcast. All attendees will be able to have their books signed.